In short, an “elif” means “else if”.. 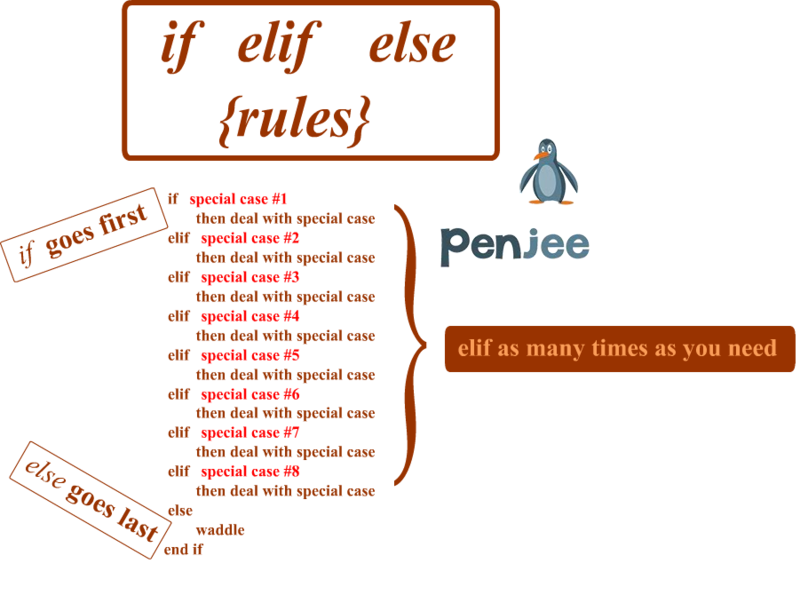 If you’ve used other programming languages, you’re probalby used to writing else if or elseif , but python contracts that to the single word elif . So, when do you use an elif ? 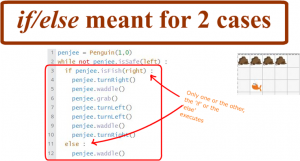 Well, to answer that question, you must first understand when to use an if/else statement. As the above picture shows, and elif is sandwiched in between the initial if and the final else, and you can have as many elif conditions as you want! The animation below shows how the order of execution works in an elif .